Hey girls, here is another one of the new Limited Edition Summer 2013 Collection nail polishes in Mint Mist. This one was one of my favorites from this collection. It was the first one in this collection that really caught my eye. I have always been such a sucker for the minty green colors. 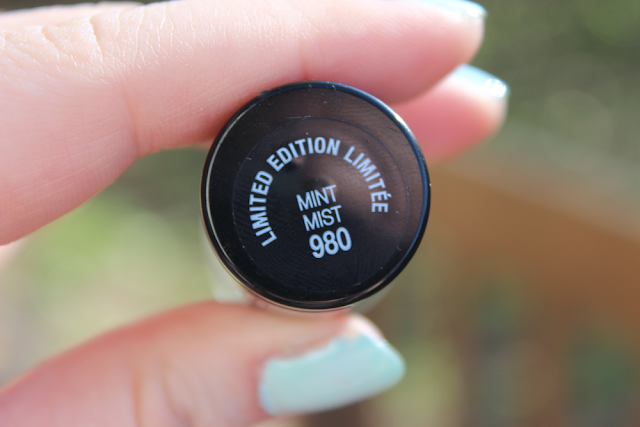 But like the name its called Mint Mist, which the color its self is a mint color, but it also has the blue in it. I was in love with this nail polish as well. I didn't have any problems with applying it to my nails. In the photos above and below there is only two coats added which its all it needed. I would recommend this one too because its also another perfect shade for the summer. If you can get your hands on this shade I would if I were you. They range from $4.00-$6.00 depending on where you buy them from. Look below for bunch more photos! love the colour! very springy. it's more of a blue-mint, isnt it? 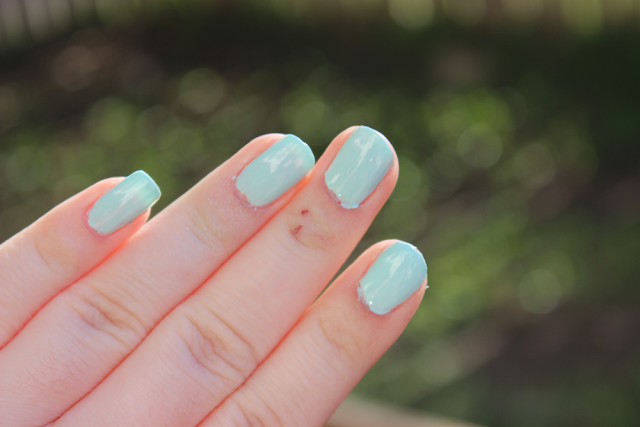 I've been seeing so many mint polishes lately and this one is lovely! I've never tried Maybelline nail polishes before but glad to here application was a breeze and that there was no streaking! I was very impressed with these. I tried a couple before, but the formula is just amazing! I know right? And these are so affordable! I hope you can find it! You will love it! I know right? its seriously just perfect for the summer! Gorgeous shade! :) I love it! Oh.. What's happened to your finger? It has injury. I love this color, it's great for summer! wow, great post and pics! nice blog and I really like this mint colour, I think I will be here more often - I'm your new follower and I'm waiting for more posts! That is definitely a gorgeous mint blue. I haven't tried these any of the new Maybelline nail polishes since they repackaged their packaging. I might have to make a stop at a drugstore soon and maybe pick one or two from this collection. you should really pick a couple up, the formula is just amazing!